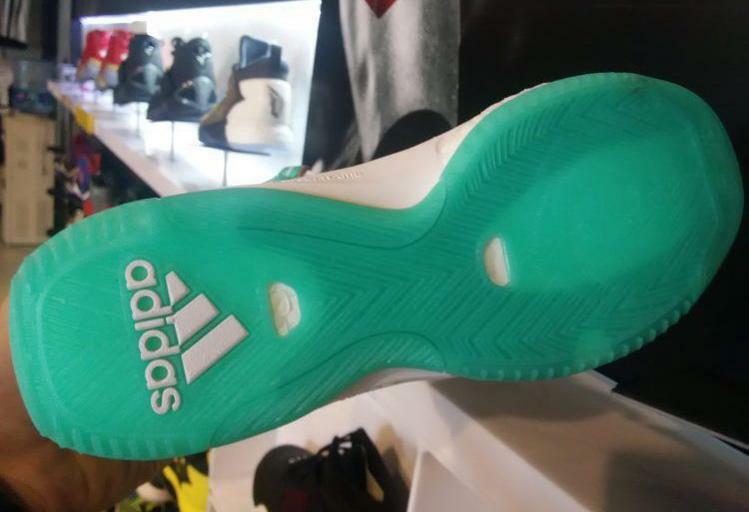 An early look at a new D Rose 6 colorway. After battling various injuries, Derrick Rose played his first Christmas Day game since 2011 last December. Hopefully looking forward to a second-straight appearance on the holiday, we have a preview of what may be Rose's next "Christmas" sneaker. 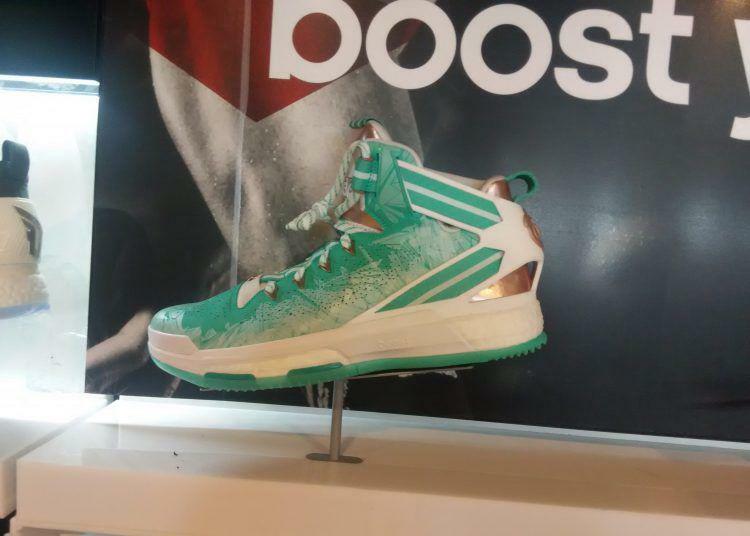 This adidas D Rose 6 Boost sports a Statue of Liberty-like palette of mint green and white with copper details throughout. A festive graphic on the upper may be the design element that links the shoe to the holiday season. 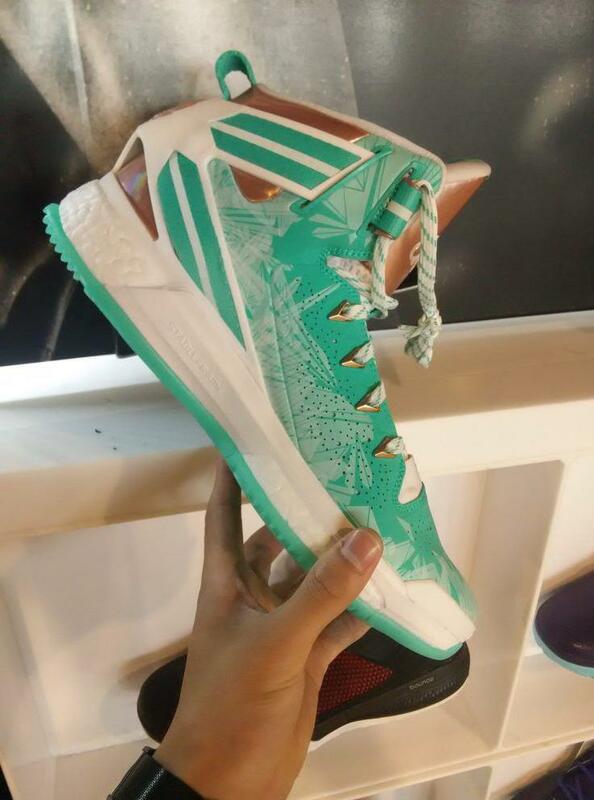 The dual-strapped D Rose 6 Boost is expected to launch this October. 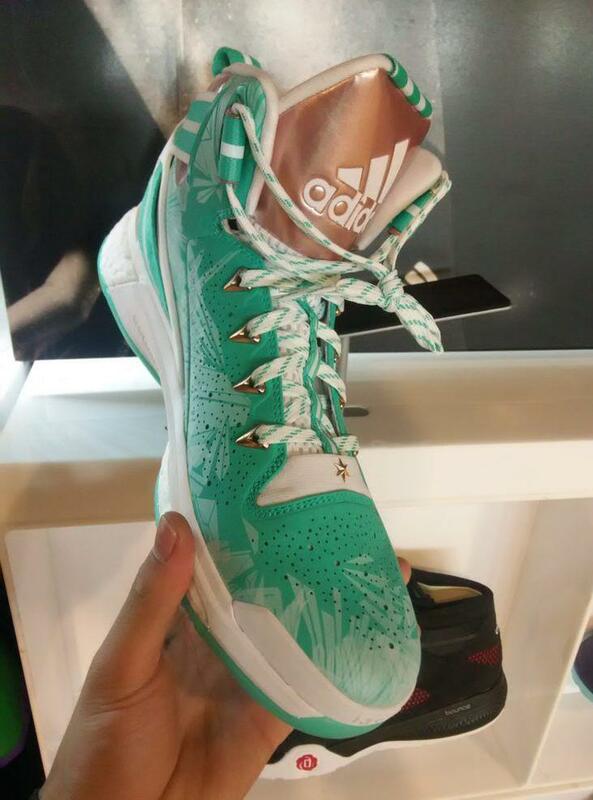 If this is indeed the Christmas colorway, look for a December release.